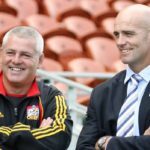 FFR president Bernard Laporte has included Warren Gatland and John Mitchell on the France coach shortlist. Adam Beard will start in the second row for Wales against Scotland in Edinburgh on Saturday. 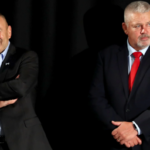 Warren Gatland is reported to be the front-runner to take over as England head coach when Eddie Jones’ contract comes to an end. Jonathan Davies will captain a much-changed Wales outfit for the first time in their Six Nations match against Italy in Rome on Saturday. 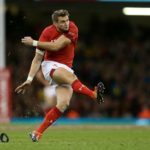 Wales have named a 39-man Six Nations squad that is largely unchanged from the November internationals. 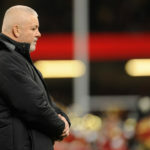 Wales coach Warren Gatland says he is wary of a resurgent Springbok side ahead of their clash in Cardiff on Saturday. 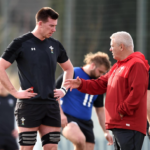 Wales coach Warren Gatland says four consecutive Test wins this month would be a big boost for his side ahead of the 2019 Six Nations. 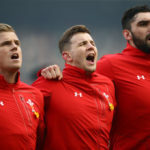 Wales coach Warren Gatland says he is in a ‘good position’ to have three quality flyhalves to choose from for Saturday’s match against the Springboks in Cardiff. 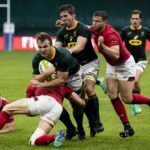 Wales coach Warren Gatland says critics of Saturday’s match against the Springboks in Washington DC are ‘bitter’ and ‘twisted’. George North will start at outside centre for Wales in Saturday’s match against the Springboks in Washington DC.